Infant ear malformations (congenital ear malformations/deformities) describe a wide range of birth defects that affect a baby’s ears and occur while your baby is developing in the uterus. Misshapen infant ear deformity have been referred to as “deformities”. Medically speaking the word deformity infers that all parts are there, they are just misshaped. Malformation, on the other hand, implies that the part is incompletely formed or that something is missing. Microtia is a congenital ear deformity involving an underdeveloped external ear. 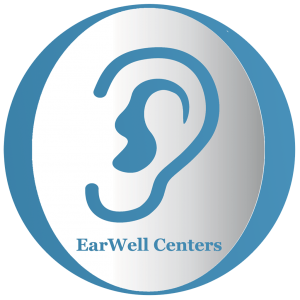 Often, the ear canal is narrowed or missing, as well, which results in a significant decrease in hearing. While there are several classifications of microtia, the most common form (grade 3) presents with a majority of the pinna missing or severely malformed and only the earlobe being recognizable. Microtia often occurs in conjunction with genetic syndromes, such as Treacher Collins or Goldenhar. Treatment for microtia may involve a team of specialists including a plastic surgeon, audiologist, geneticist, and otolaryngologist. Anotia (the most severe form of microtia) is a rare deformity in which the ear is completely absent. Patients with anotia typically experience conductive hearing loss. Treatment includes external ear reconstruction, inner ear and hearing treatment, and speech therapy. Ear reconstruction is often performed after age 6 so the child’s own rib cartilage can be used for reconstruction. Ear tags, also called accessory tragus or bronchial cleft remnants, are common congenital, benign ear anomalies made up of skin, fat, and/or cartilage. Ear tags typically present in front of the ear or on the cheek. Ear tags containing cartilage are usually surgically removed, while those without cartilage can often be removed during a routine doctor visit. Earlobe deformities can present in various ways, including clefts, ear tags, and duplicate lobes. Earlobe deformities are typically treated with surgery, depending on the type of deformity involved. Most surgical procedures are performed on an outpatient basis under local anesthesia.